Bambi is a very lovely and lively little girl. She is almost like her mother att that age. I'm pleased with her carracter and hope her to develop nicely in the future. Att the aga of 10 months she seems to have her teenage shyness, but hopely she gets over it. She is also a very pretty girl. 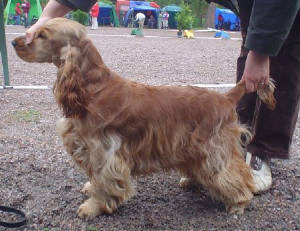 And I hope her to qualifie at field also this summer.